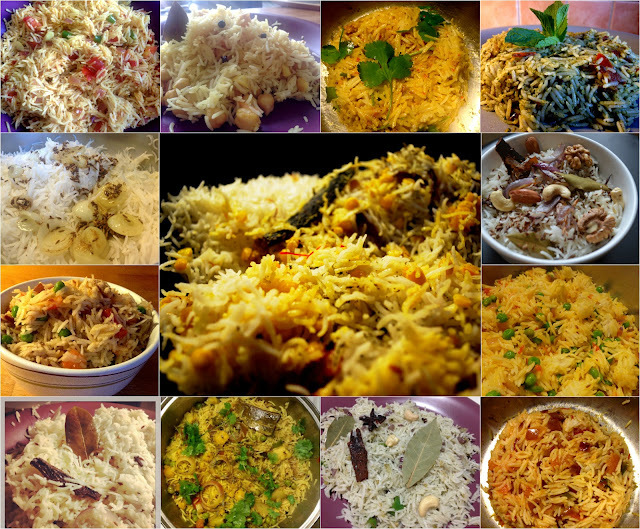 It's been a long while I have been experimenting with various types of biryanis: both vegetarian and non-vegetarian. Most of the times I just add garam masala for the taste and earlier I used to add the store bought garam masala but was never satisfied with the taste of either. 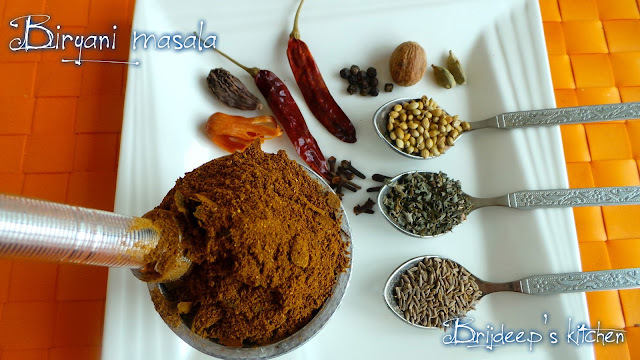 Recently I asked my Nani if she knows to prepare biryani masala at home. I was not sure because I have never known her making biryani of any kind but she did have a recipe for the masala! Lucky me, right? 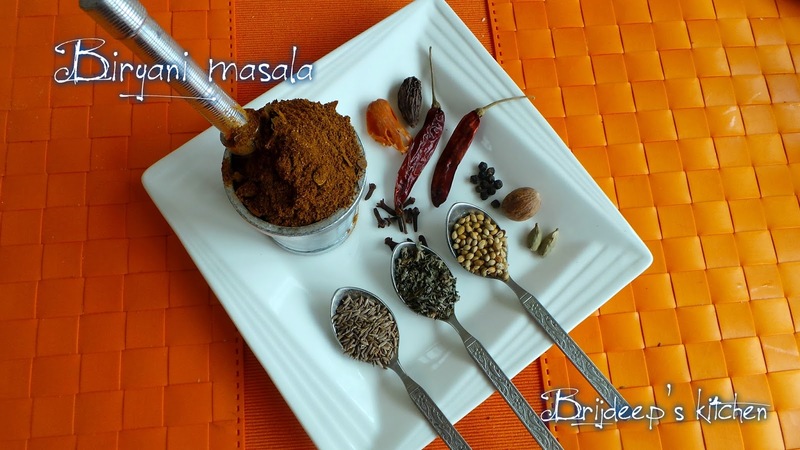 I instantly penned down her recipe for the masala and recently made this flavorful spice powder. 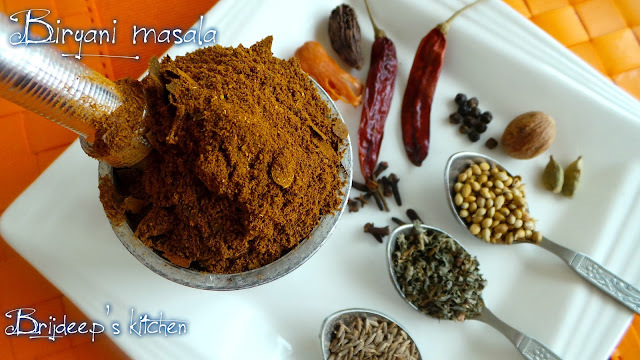 My house was filled with the aromatic essence of spices and the final spice powder is dark brown in color, and smells so awesome I can't describe in words; you just have to prepare it to experience the heavenly aroma. 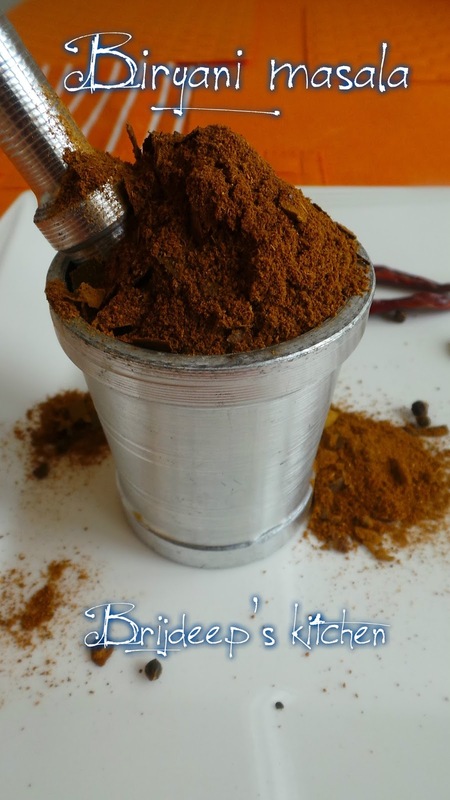 When I had this spice powder, immediately the next day I prepared a Hyderabadi Fish Biryani using this biryani powder, and trust me, it tasted so wonderfully awesome with a taste I have never had before. I'm never going back to adding simply garam masala or using store bought ones for my biryani recipes. Caraway seeds (Shahi jeera): 2 tsp. Dry fenugreek leaves (kasoori methi): 1 tsp. Dry roast the following one by one on a medium-low flame: cumin seeds, caraway seeds, coriander seeds, peppercorns, dried red chili, cinnamon and cloves. Let cool and mix all the ingredients (dry roasted and others) and grind to a fine powder. I used my coffee jar for grinding. Sieve through a muslin cloth and store in a dry and air-tight container. It stays good for very long time. No need to refrigerate. I know for sure after you have made this biryani spice powder, you will totally be craving to prepare a biryani asap.. so here are the 13 biryani recipes I have blogged till date. There are many more I have tried but have not been able to write the recipes, will keep on updating this post as I share more biryani recipes. 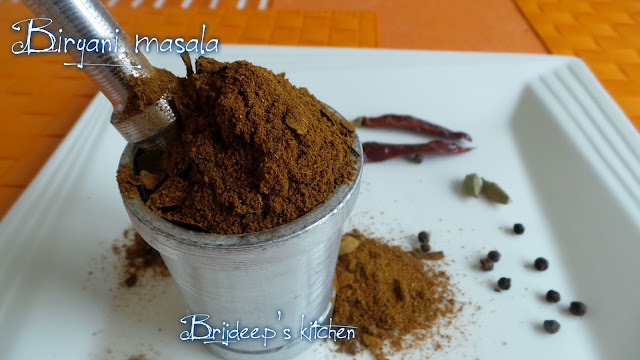 How to use the biryani masala: Just add one heaped teaspoon every cup of rice in any biryani recipe. Just add a little more powder if you like more strong flavor. Add half a teaspoon of this powder to any rice preparation and feel the difference! Loved this post? Don't forget to connect with me on Facebook for regular recipe updates. Please leave a comment and/or feedback in the comments section. Have you come across the legal and Prescription free version of the drug Anadrol? Check out https://singaporeanloves.com for Anadrol in Singapore.